When you need expert heating & air conditioning service in Utah County, you can call on Best Heating & Cooling. We are staffed with heating & air conditioning professionals that are ready to help when you have issues with your home’s heating & air conditioning system. Whether you need maintenance, repair or new installation, our HVAC techs are experienced and able to help with any problems you may be experiencing with your furnace, air conditioner, heat pump, ductless mini-split or HVAC system. 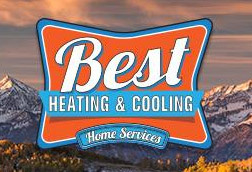 We are a family-owned and operated heating & air conditioning company that is proud to serve Utah County homes and businesses. We work hard to maintain our reputation for providing quality HVAC products and reliable installation, maintenance and repair. Our goal is to continually raise the standard for HVAC excellence and superior customer satisfaction. Our many years of experience in the industry, combined with our ongoing heating & air conditioning training, give us the knowledge and practical skills to solve your heating & air conditioning issues every time. Give us a call if you need an HVAC contractor in Utah County. We look forward to hearing from you!